But AgFiniti’s capabilities do not end there. The AgFiniti hardware allows for remote display viewing, so that your dealer can view and troubleshoot your issues with less downtime and less service-call costs to you. At this time, AgFiniti has three different features (now four; see below) that growers can use to scale up as their needs require. AgFiniti Map View is a web-based platform that operators can use to view their archived SMS data without carrying around the PC. The AgFiniti App for iOS allows for data transfer from an InCommand display to an iPad/iPhone for later viewing. AgFiniti Essentials is the “go-between” feature that allows completely wireless data transfer from the cab to the office, and back again. You can utilize your own tablet/smartphone data plan for the file-transfer process. EDIT: Recently Ag Leader introduced DisplayCast, which allows for InCommand display file transfer between multiple machines within range of one another. 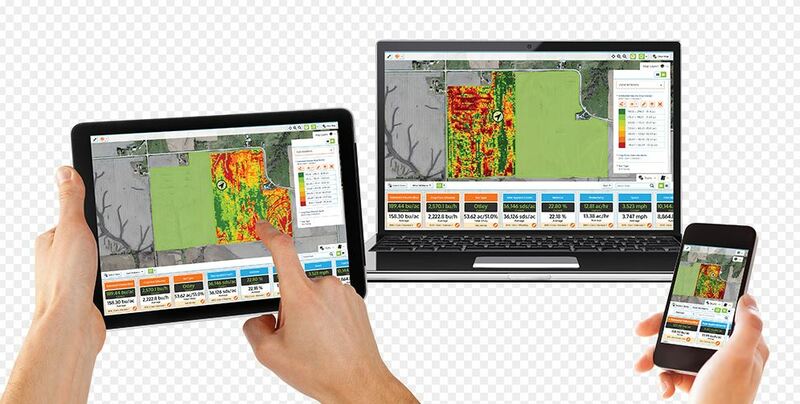 Share guidance lines, coverage maps, yield maps and more.